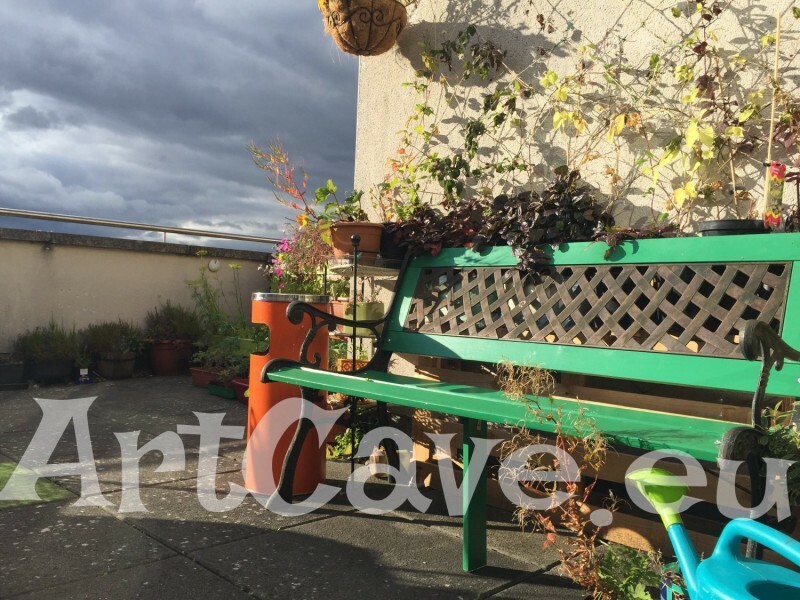 When I rented an apartment with a huge roof terrace I was really excited about organising there my garden. The terrace was completely empty – just bare grey concrete wall. It is also rather windy up there, so my plan to have a green flowery corner there proved to be challenging. Nonetheless, I made it. Step by step I was adding pots, plants, and then I more flower pots and more plants. One of my dreams was to have a picturesque green corner where I could have a coffee, read a book or just sit and relax. It was quite a challenge but I made it. Here is my balcony garden and climbing plants. I had a bench and started thinking about the wall behind it. 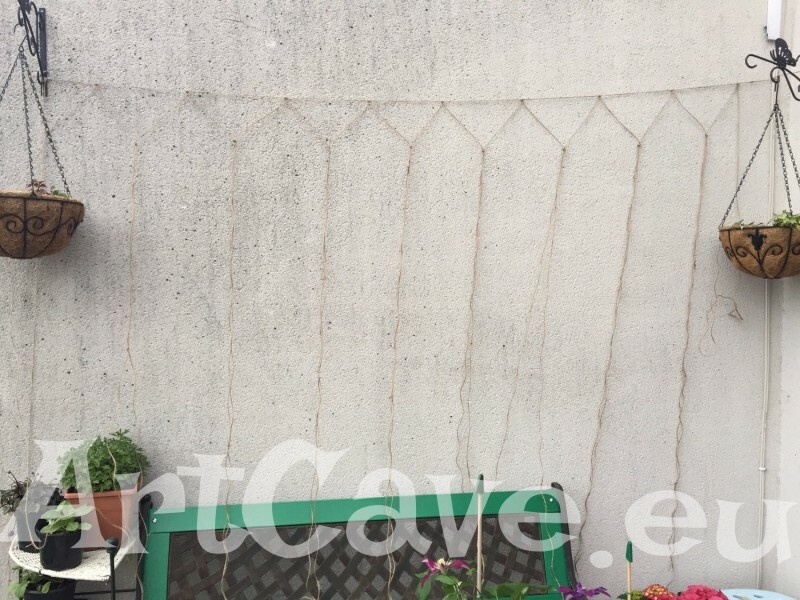 I knew I wanted lots of climbing plants, but how to fix them? 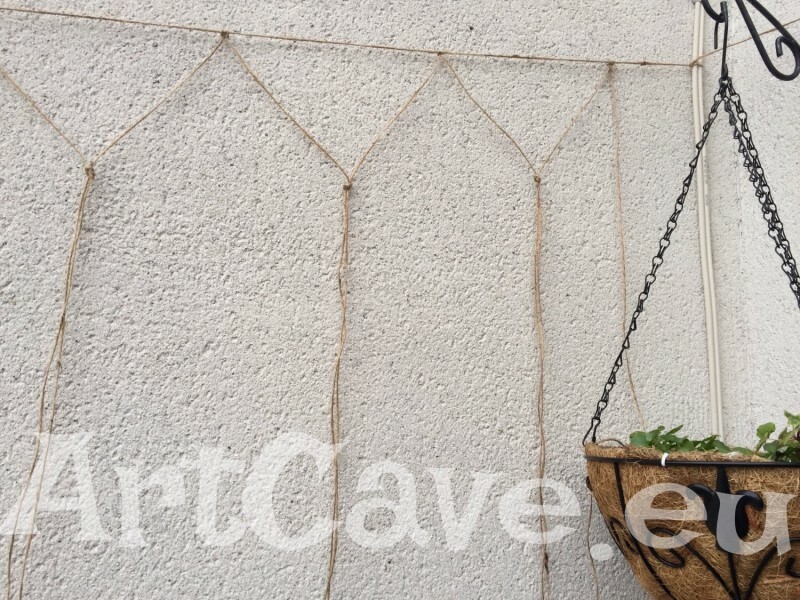 As usually, I refused to by ready to go products (there was no trellis of an appropriate size anyway) and decided to weave my own trellis out of rope. I already had two hanging baskets. Their position was really strategic, as I fixed them so they could support my trails later on. 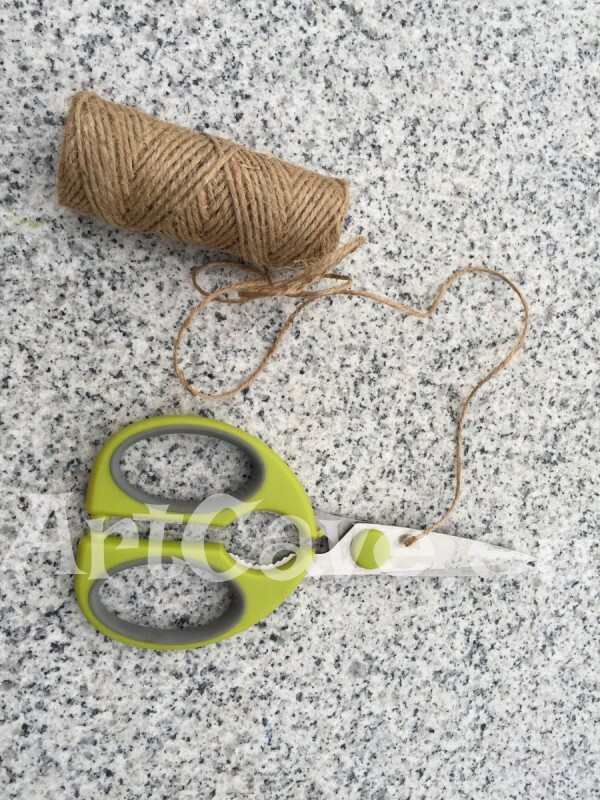 Rope Scissors Yes – that’s it! 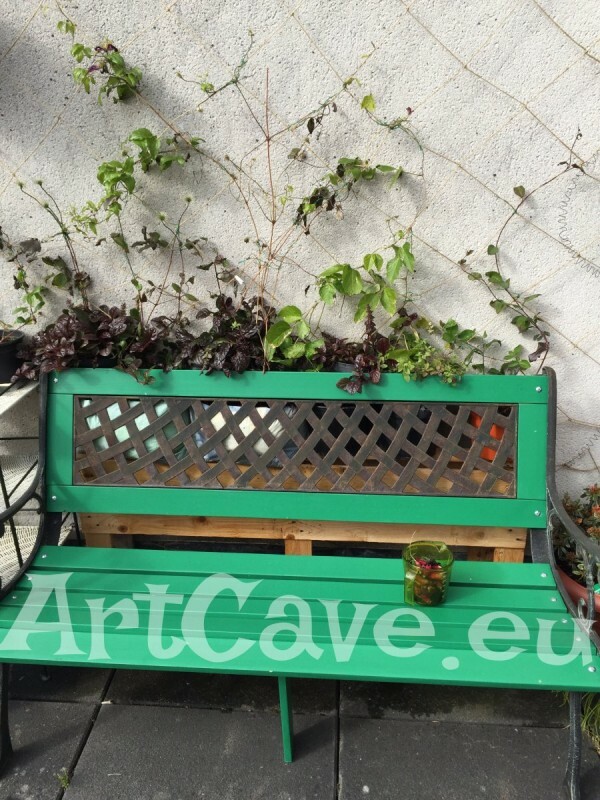 There are different techniques – I ll explain how I made my trellis. 1. 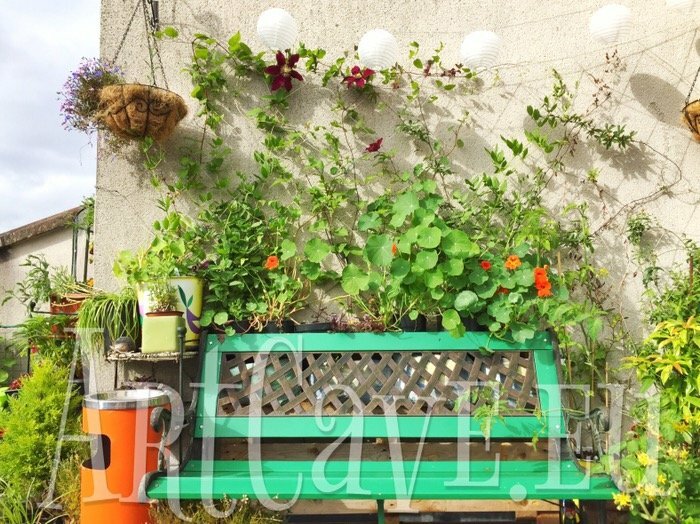 First, I attached a long piece of string to the baskets, above the bench, across the wall. You can also use nails or screws to hold it, I as I mentioned used baskets to support the trellis. This will be the top end of the trellis. 2.You need more rope to start weaving. I cut 9 more pieces of rope. The length of each of them should be at least twice the height of your trellis. I would suggest adding another 20%, as some of this length will be ‘wasted’ for knots. Once all these pieces are cut, you go to the next step. 3. Each of these pieces has to be tied to the main supporting rope. Tie them at half length spread evenly. Once you have this you can start weaving. 4. I had had nine double hanging pieces of rope.Start tieing them together. The first row will have triangular shapes. All following rows will have a shape of squares. Keep going until your net trellis is ready. Now you need nice climbing plants. I also need them to be strong to survive the windy conditions. Here is how my trellis supported climbers has grown over the last two years.